It wouldn’t be wrong to say that most American are living right on the edge, especially when it comes to financial planning. The latest survey revealed that more than half of Americans (59%) have less than $1000 in their saving accounts. If your saving account balance is hovering below $1000, you are probably among those 59% of Americans who need to take drastic steps to lift their account balance. With so many options to spend money on, ranging from entertainment to buying expensive sports items, it has become extremely challenging for Americans to save money for hard times. Traditional finance advice dictates that every family should have at least have enough money in their savings account to cover at least eight months of their expenses. Different experts have given their own logic and explained the significance of having extra cash stashed in your bank account for rainy days. We all know that money-related issues can cause a great deal of stress among individuals and families. In order to lower the concerns related to money-related matters, you have to have enough money in your savings account to get you through those hard times. Regardless of how much money you make, saving money for rainy days is significantly important for you and your entire family. It begins with cutting unnecessary expenses. The theory to save money is simple; the less you spend, the more you save. Undoubtedly, cutting expenses from your daily routine is no easy feat. 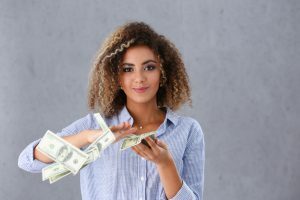 You have to stay attentive and on your toes all of the time to cut whatever expenses you possibly can in order to increase your savings account balance. Moreover, having a sound amount in your savings account provides you financial security and stability. Those who have the habit of saving money can meet emergencies with greater ease and flexibility. No one can predict the future, so you need to save money for hard times to become a sensible citizen of a society. People across the globe are finding it extremely difficult to maintain a true order in their finances. Americans are no exception. They have been struggling to sustain an average amount in their saving accounts. According to an online survey, a whopping 69% of Americans have less than $10,000 in their savings accounts which is alarming for the entire economy. Even those who used to have the habit of saving money are finding it a lot more difficult to create the right balance in their accounts. Here are three the reasons why an average American is finding it challenging to spend less and save more. With increased digitization and use of social media, people are instantly influenced by evolving trends, fashion, lifestyle changes, amenities, and facilities. We live in an era of creative marketing and advertisement which is why we desire to embrace and purchase those products or services that feel good to us. In light of evolving trends and the desire for acquiring more products and services, our spending habits have changed significantly. Now, we even purchase and acquire products and services that can only fulfill temporary desires which is a big blow to our savings budgets. According to statistics, a shocking number of Americans have no savings at all! The reason they give is that they cannot afford to save money and can only afford to make their ends meet. Little do they know is that it has more to do with their poor budget planning and spending habits that restricts them in saving money. According to studies, nearly 75% Americans fail to stick with their monthly budget. This indicates that making a budget may be easy but following it is extremely hard. Even the smallest amount that you save each month accumulates to become a significant amount in your savings account over time. In order to spend less and save more money, you have to make a monthly budget and follow it strictly. Without it, you can never expect to save any money at all. Americans happy-go-lucky attitude and carelessness without information and knowledge has caused them to be portrayed as having a lack of attitude and motivation. With media not helping at all, some Americans are already neck-deep-in-debt. In order to save money, you need to keep your morale and motivation high because you are the only one saving money for yourself eventually. Americans’ spending and saving habits have been largely compromised in the last decade or so. Looking at the statistics, nearly half of Americans have less than $1000 in their saving accounts. Saving money is critically important in anyone’s life because it provides financial security and stability in life. You must have enough savings in your bank account in order to address financial emergencies.